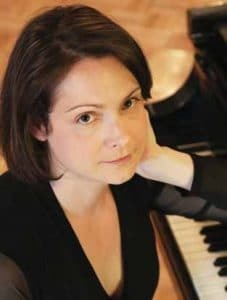 An oceangoing organism with one brain and eight independent neuron-bearing links is the perfect image to invoke for a rather intense collection of piano duets. 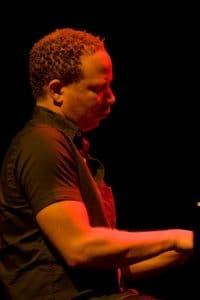 Taborn’s guest appearance on Davis’ 2016 album Duopoly excited both players enough to prompt a U.S. tour last fall, the source of these recordings. 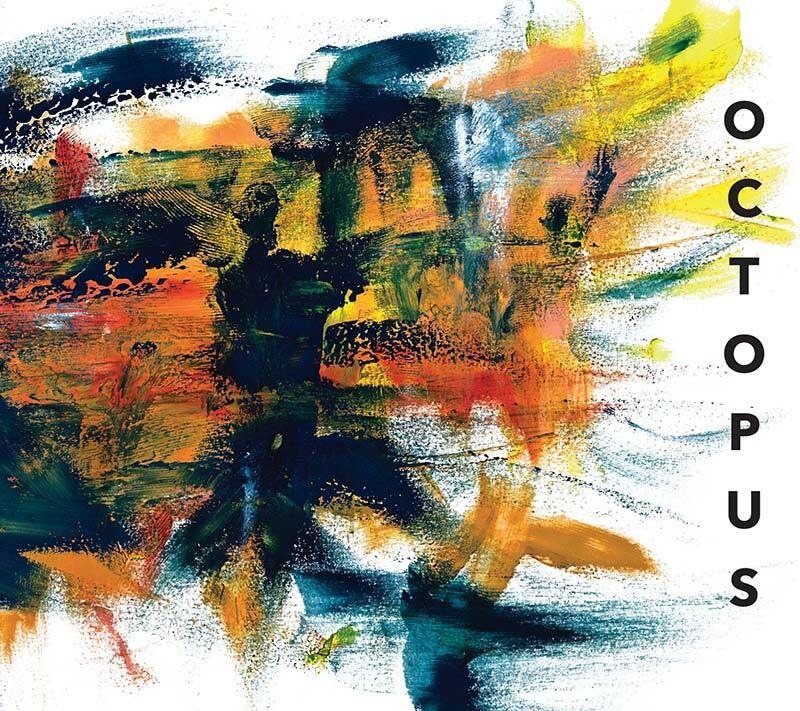 The opening “Interruptions One,” written by Taborn, gets across quickly and beautifully why he and Davis wanted to do more work together. They begin by passing notes back and forth to each other, slowly adding depth and velocity until they’ve built to a tremolo-laced peak that suggests a large tree full of four different types of birds all singing at the same time. Then Taborn starts up a slinky 7/4 repeating riff, which Davis punctuates with offbeat chords. Both pianists gradually fade into silence; these birds have flown. 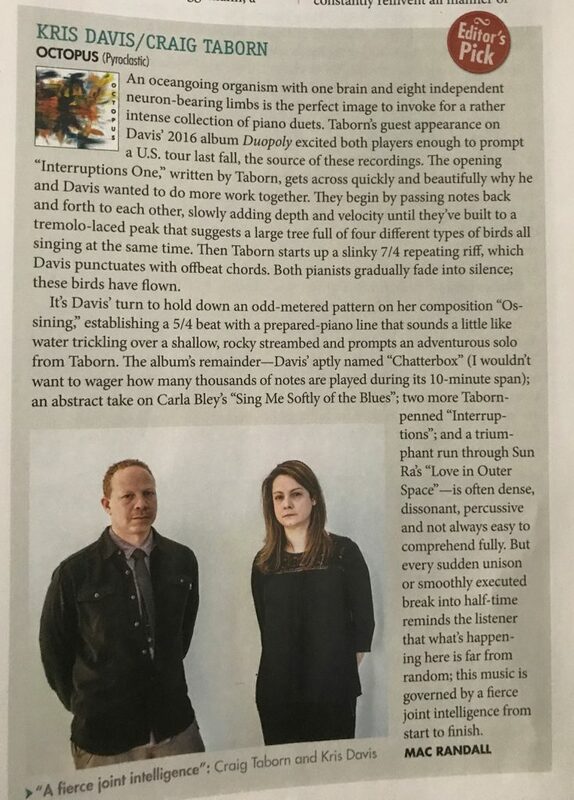 It’s Davis’ turn to hold down an odd-metered pattern on her composition “Ossining,” establishing a 5/4 beat with a prepared-piano line that sounds a little like water trickling over a shallow, rocky streambed and prompts an adventurous solo from Taborn. The album’s remainder––Davis’ aptly named “Chatterbox” (I wouldn’t want to wager how many thousands of notes are played during its 10-minute span); an abstract take on Carla Bley’s “Sing Me Softly of the Blues”; two more Taborn-penned “Interruptions”; and a triumphant run through Sun Ra’s “Love in Outer Space” –is often dense, dissonant, percussive and not always easy to comprehend fully. But every sudden unison or smoothly executed break into half-time reminds the listener that what’s happening here is far from random; this music is governed by a fierce joint intelligence from start to finish.